Parading the couple and other suspects at the command’s headquarters in Owerri on Wednesday, the State Commissioner of Police, Dasuki Galadanchi, said that the action of the couple who hail from Umueme Obike in the Ngor Okpala Local Government Area of the state was despicable. 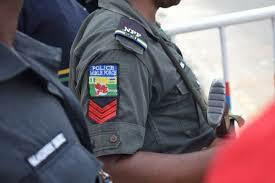 Apart from trafficking their son, the CP disclosed that the suspects also kidnapped and sold another two other babies. The police boss said, “The suspects were arrested by the operatives of the anti-kidnapping unit of the command on July 20, at Umuokai Owerre-Nta in the Isiala Ngwa South LGA of Abia State. “The suspects conspired and lured one Jovita of Irrette Owerri West LGA of Imo state to Naze, Owerri North LGA where they tactically abducted her two children, Adaugo Olive, who is three years and six months old and his six months old younger brother, Daniel Oliver, and then sold them to unknown persons. According to Galadanchi, the operatives were trailing other fleeing members of the gang. The police boss said that the breakthrough was as a result of the synergy that existed between his command and members of the public.